3 Bedroom Semi Detached House For Sale in Richmond for Offers in the region of £180,000. 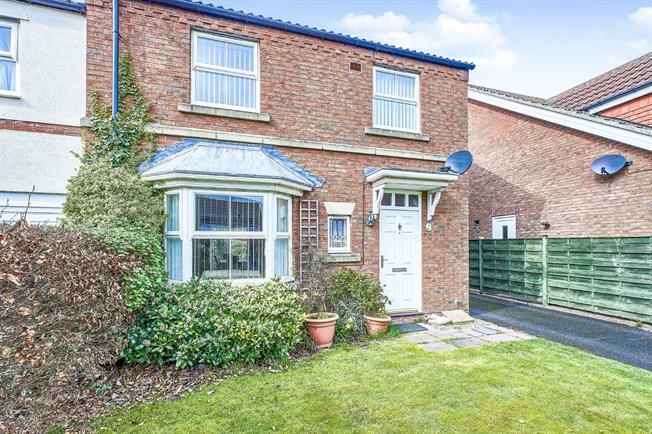 This beautiful three bedroom semi-detached home is spacious throughout. Upon entering the property you will come to the carpeted hallway with a handy downstairs WC just off the hallway. Through to the cosy neutral lounge/ dining with a stand out feature fireplace and plush cream carpets and sliding doors out in to the garden. The kitchen which has an array of wall & base units, integrated electric oven and gas hob. Upon entering the first floor you will come to the sizable master bedroom with its built in wardrobes and en-suite with double shower, low level WC and white pedestal wash basin. The second bedroom is a great sized double & the third bedroom are also good sized single perfect for guests or an office both looking out to the beautiful garden. The family bathroom is also a great size with panelled bath, pedestal WC and low level WC. Externally the property benefits from lawned front and rear garden along with a single garage perfect for storage plus a driveway for 2 cars. This property is the perfect family home.